This is a trans-seasonal garment no woman should be without. It’s lightweight, has sweat wicking properties, and looks super stylish whatever the weather. 88% Polyester 12% Elastane Single Jersey 270gsm. 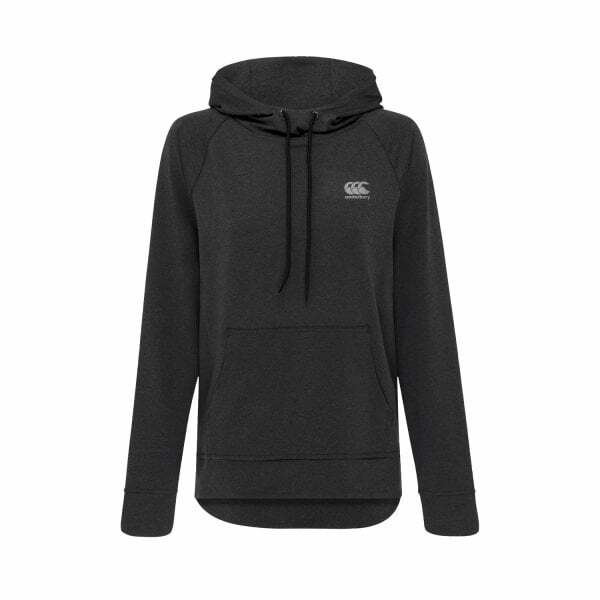 This super lightweight hoody is the perfect trans-seasonal piece for an active woman’s wardrobe. It features sweat wicking VapoDri technology to keep you warm and dry all day, and has lower front kangaroo-style pockets positioned into angled forward seams. Thumbholes also provide a secure fit and help to lock the heat in, and the garment is finished with reflective Canterbury branding for improved wearer visibility when training in low light conditions.